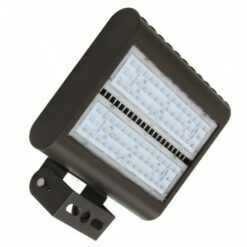 LED Floodlights. CCT 3000K, 4000K, 5000K. Ground & Elevated Installs. 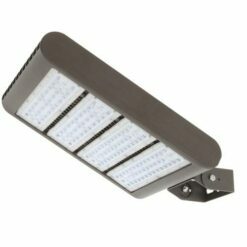 Extensive selection of ground or height installed lighting options with typical beam angles of 150 degrees. LED floodlight installations highlight buildings, billboards and landscape features. Floodlights improve property security and workplace safety. Assortment of powers options ranging from 15W to 300W with CCT options of 3000K, 4000K and 5000K. Mounting options include Yoke, Knuckle or Trunnion brackets. DLC listed. IP65 rated. Lens protection includes: full glare shield, half glare shield & wire guards. Universal 120-277 AC voltage (50-60Hz) is standard.